Frank Mörschel heads up KfW's project to rewet bogs in Russia which has been honoured at the COP23 Global Climate Conference in Bonn. 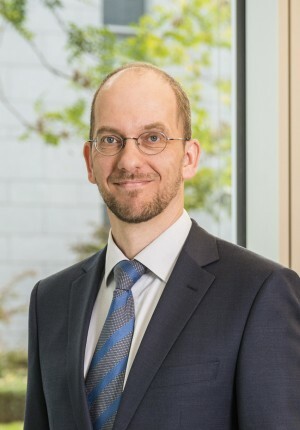 Frank Mörschel says: "Bogs need to be intact to function as CO₂ stores". He heads up KfW's project to rewet bogs in Russia. Mr Mörschel, why are bogs important? Because they capture one of the Earth's biggest climate killers – CO₂. Bogs only cover around 3% of the world's surface, but they store twice as many greenhouse gases as all of the Earth's forests combined. This makes bogs the most efficient carbon stores in the world. There are many bog areas in Eastern Europe, but also in Southeast Asia, primarily in Indonesia. Many bogs are severely endangered. 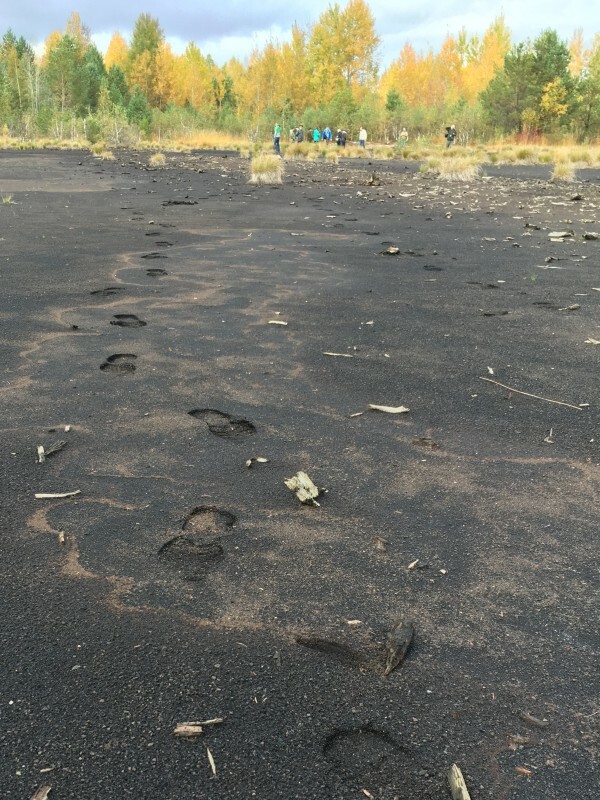 But they When they are drained, bogs can no longer store greenhouse gases – on the contrary, the peat which has formed over thousands of years decomposes, releasing massive amounts of greenhouse gases. Drained bogs are also extremely prone to fire. The devastating peat fires near Moscow in summer 2010 alarmed the Russian government and were also the beginning of our project. Why were the bogs actually drained in the past? People saw the land as unproductive which is why the wilderness was turned into cropland or areas of forest. This also used to be common practice in Germany. The territory of Russia is much larger, around 8% is covered with bogs. In addition, peat – before oil and gas were discovered – was an important raw material for producing energy. And even as environmental awareness grew, efforts focused on more fighting deforestation and bogs were overlooked for a long time. In the meantime, however, there are many research findings that substantiate how important bogs are for our climate. 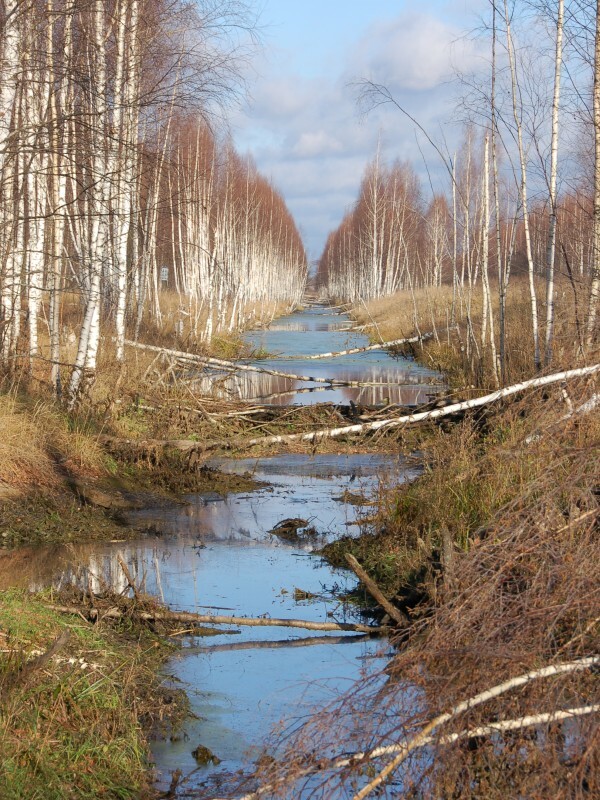 Drained peatlands pose a high fire risk in Russia. 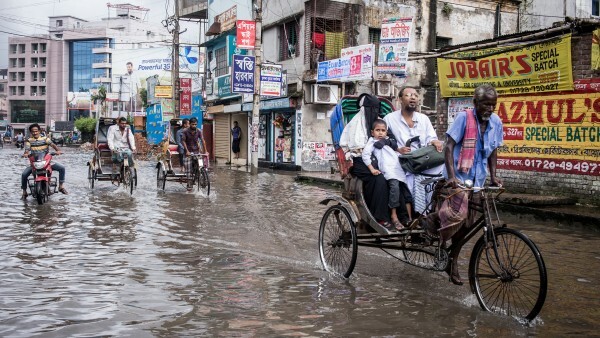 Large areas will be rewet in order to minimise the risk and restore the ecological balance. The peat fires around Moscow in 2010 were devastating because they were so difficult to put out. Peat fires continue to burn underground, even in winter under a thick layer of snow. They can then break out again in spring. The thick smoke from the fire with its irritant effect seriously affected Moscow in 2010 and made life in the city unbearable to some extent. The project was initiated to help the Russian government reduce the risk of fire on the drained peatlands using innovative, modern methods. The risk of fire will be minimised on an area approx. 100,000 ha in size. Just over half of the area will be rewet, most of it by means of an ecological rewetting process. 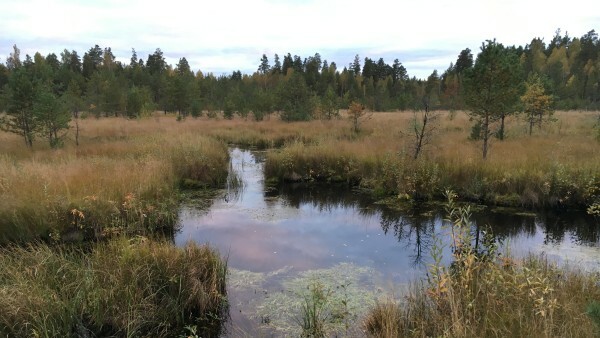 This means that the bogs will be rehabilitated so that they, on the one hand, no longer release greenhouse gases and can store CO₂ again and, on the other hand, the endangered bog habitat with its unique species diversity is restored again. There are quality differences. Due to the pressing need for action after the fires in 2010, the Russian government quickly started undertaking more traditional fire-fighting measures. These included the construction of roads to allow fire trucks to access the susceptible areas more quickly or the construction of retention basins and pumps to ensure that enough water is available in the event of a fire. However, these measures are much more expensive than the ecologic rewetting process pursued by the project. We want to show that rewetting can be a low-cost and environmentally compatible process. To this end, the canals that were used to drain the previously intact bogs are being successively closed so that the ground- and rainwater can remain in the bog. This process requires good planning and takes some time to restore the ecological balance, but it is the most sustainable and cost-effective process in the long run. Around 8 % of Russian territory are covered with bogs. They are the most efficient carbon stores in the world. Why does Russia need help from Germany in this case? Ecological rewetting of bogs is an idea that has mainly been put into practice in Germany, the Netherlands and England in the last 20 years – but on relatively small areas. In 2010, the Russians looked for ways to efficiently solve the fire risk problem, and the German Chancellor offered help to the president at the time, Medvedev. 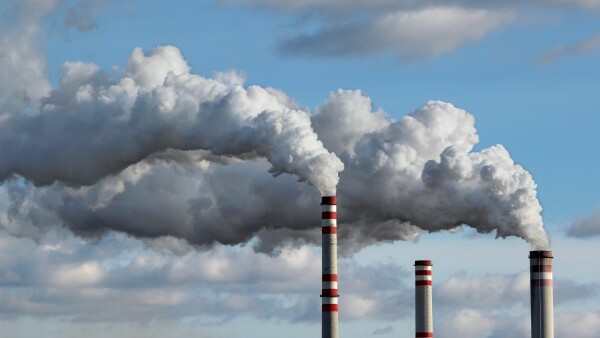 The project is part of the International Climate Initiative (IKI) that was launched by the Federal Ministry for the Environment, Nature Conservation, Building and Nuclear Safety (BMUB) and supports model projects. Implementing partners in this project are the non-governmental organisation Wetlands International in cooperation with the Institute of Forest Science of the Russian Academy of Sciences, the University of Greifswald, the Michael Succow Foundation and the Russian authorities. 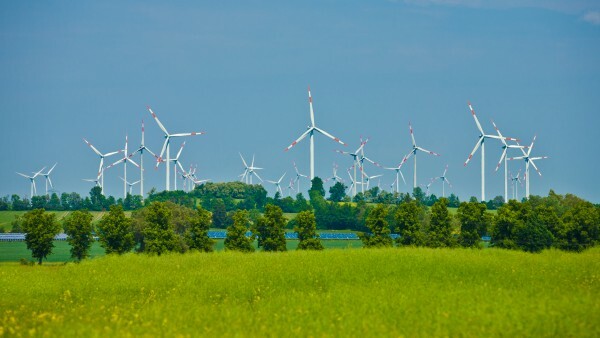 KfW is financing the project on behalf of the Ministry of the Environment with EUR 6.5 million. These funds will be used to rewet areas in various Russian provinces including Moscow, Tver, Vladimir and Nizhny Novgorod. A monitoring system will also be set up and Russian partners trained to be able to carry out ecological rewetting independently in the future. KfW is financing the project with EUR 6.5 million. Can the success of the project be measured? Before the project started, we estimated that around five to ten tonnes of CO₂ could be saved per hectare and year. The actual greenhouse gas emissions saved can only be determined by measurements after the areas have been rewet. In previous projects, a method was developed to take a bog through various vegetation stages – from dry to wet. For each of these vegetation stages, comparison measurements were carried out to determine how many greenhouse gases these areas release. This is done by putting plastic bonnets over the plants and measuring the gas directly on the vegetation. The areas with identical vegetation stages are then mapped or captured in satellite images and the values estimated accordingly. This method has been recognised internationally in the meantime and is also being used in Russia.